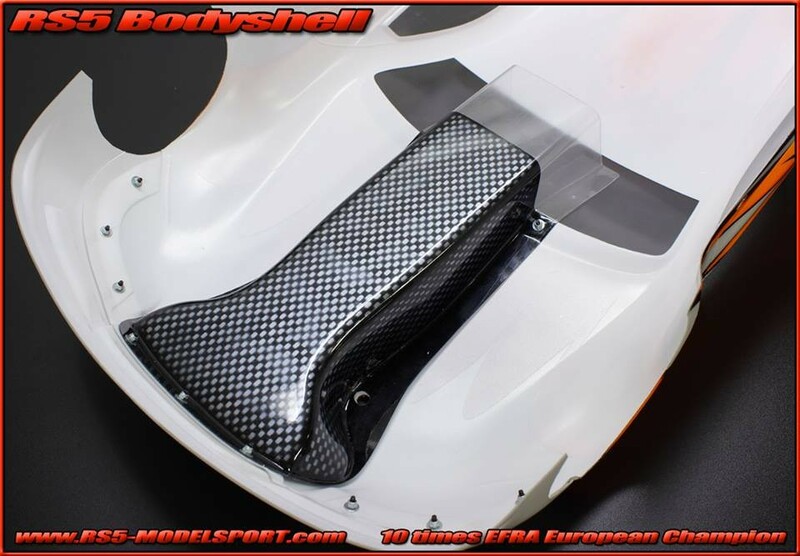 This new bodyshell is designed for optimal down force of the car and has an innovative, integrated Lexan AirChanel, to help the engine breath fresh cool outside air instead of breathing hot air from the inside of the car. 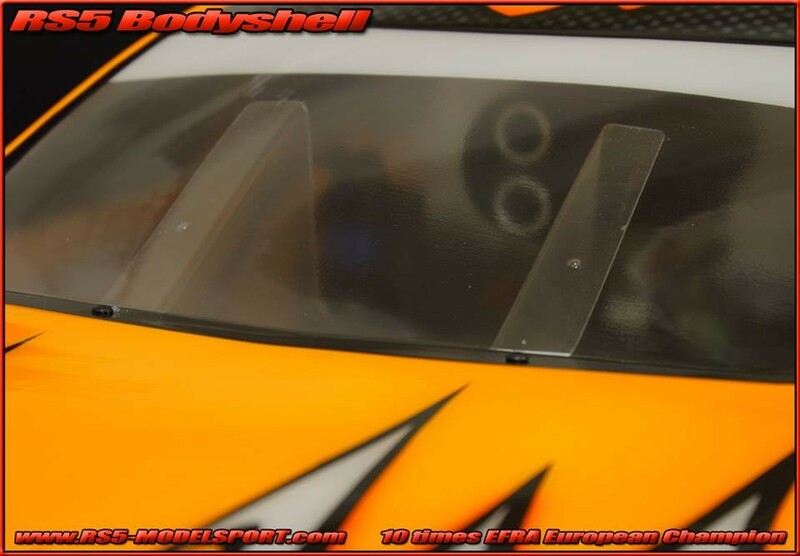 This system will reduce engine temperature and fuel consumption. 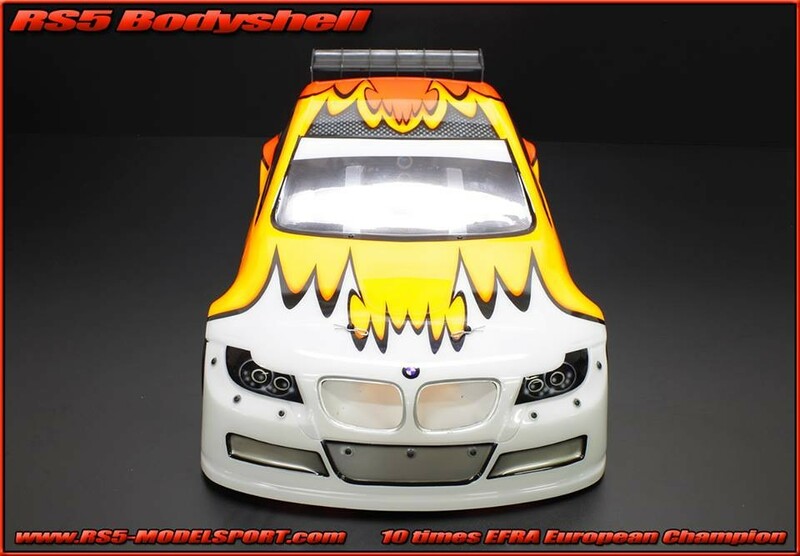 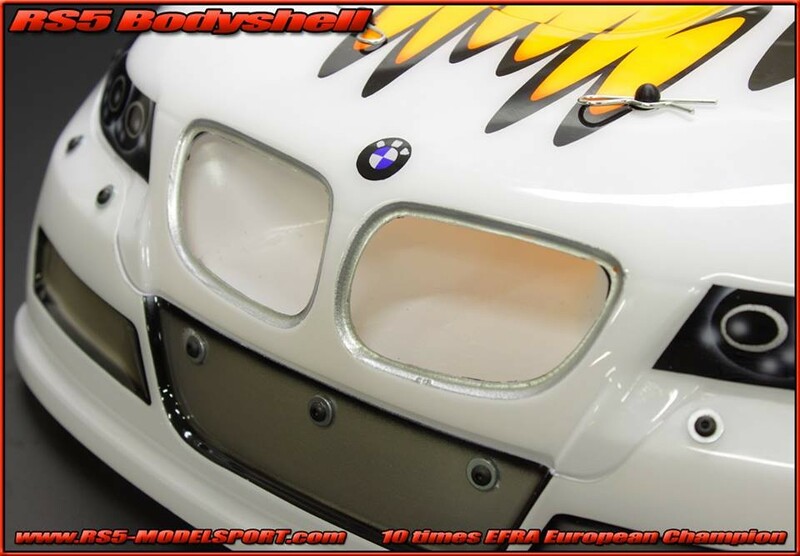 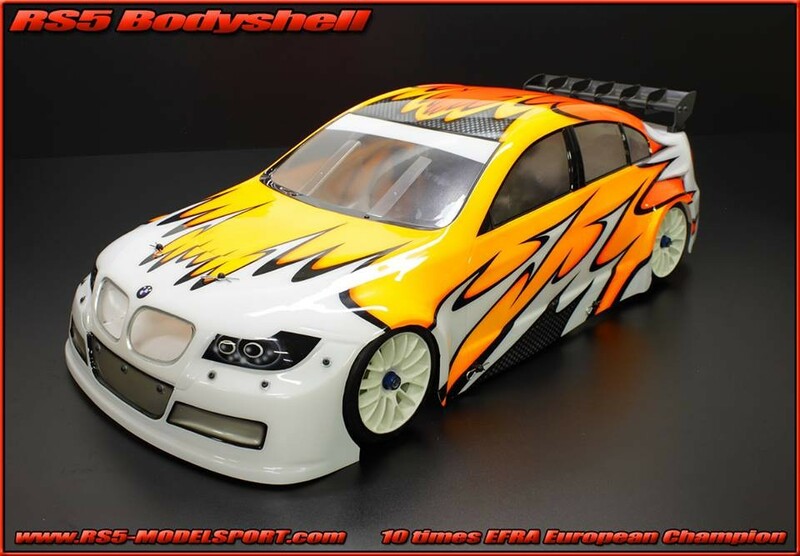 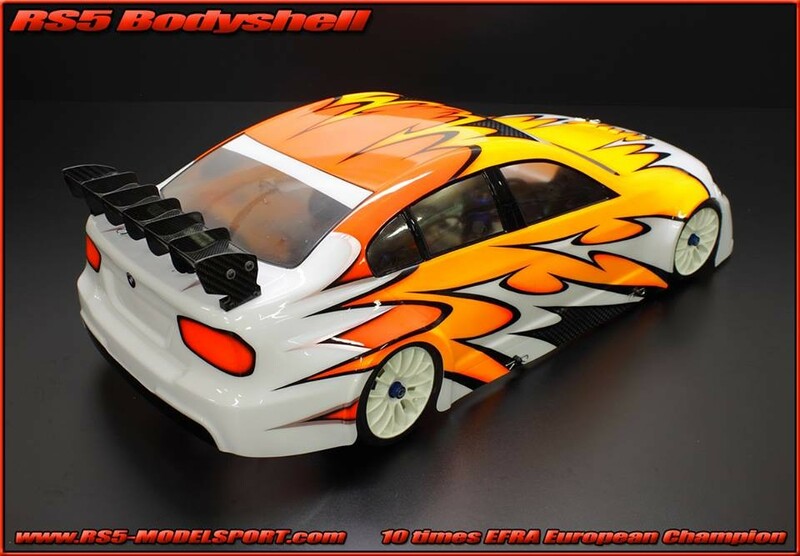 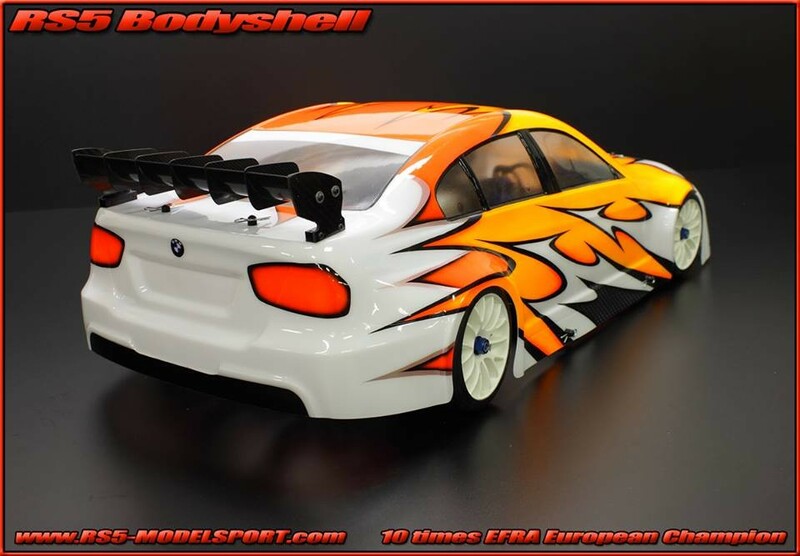 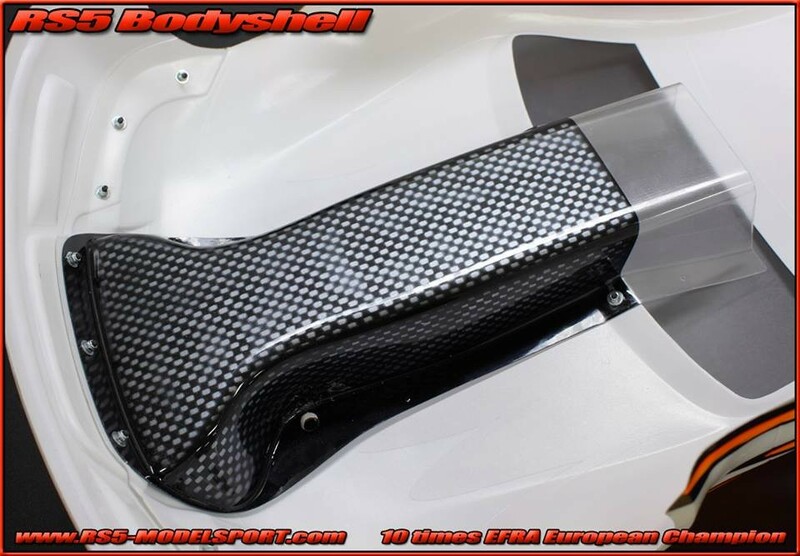 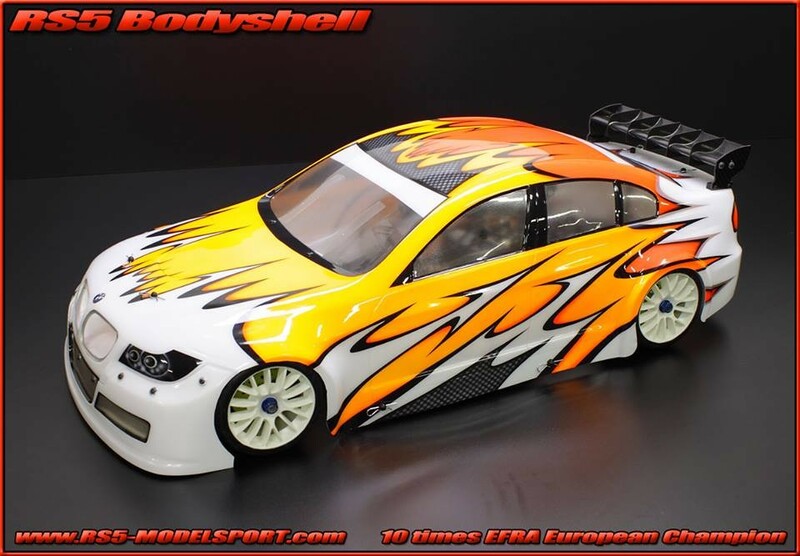 This bodyshell is available at standard 1,5mm and ultra-light 1mm version.